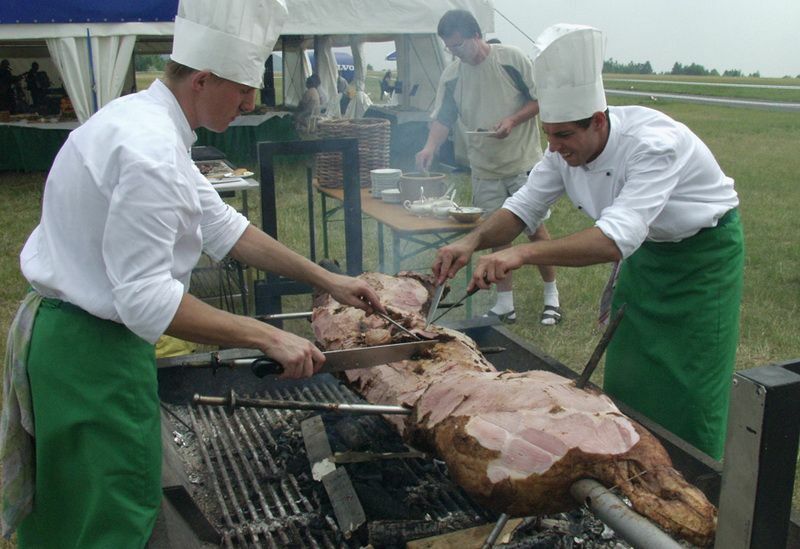 Probably the largest attraction offered by IGC in the area of catering is the grilling of entire young bulls. 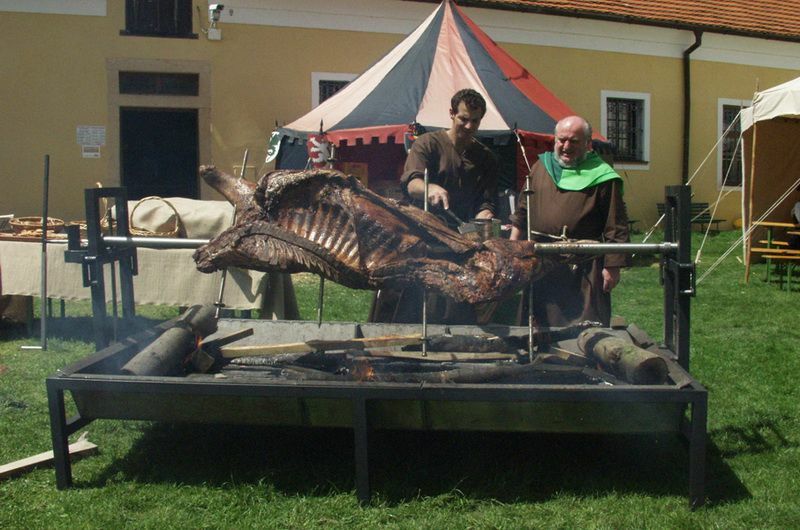 To this end IGC has had a special spit of its own construction manufactured with a large hearth some distance from the ground, which makes it possible to prepare in places where the fire would otherwise damage the flooring (courtyards, gardens, tiles, etc.). 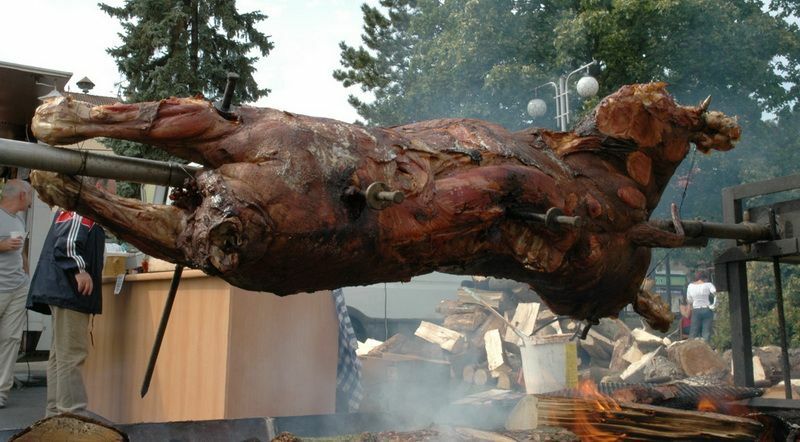 The 12 cm thick spit fully made of stainless steel with openings through which blades preventing the sliding of meat are stuck, can bear several hundred kilograms of weight. 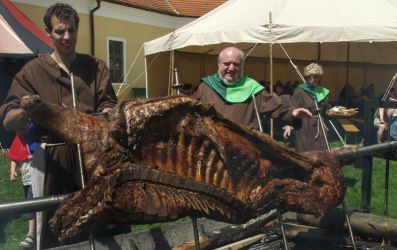 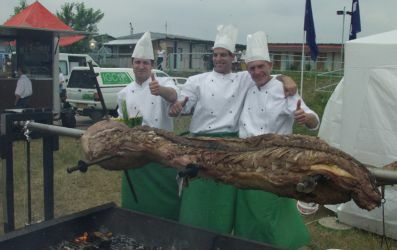 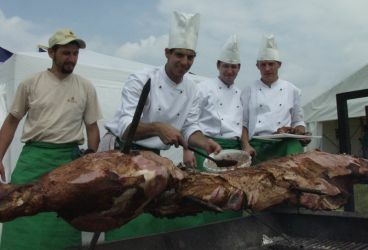 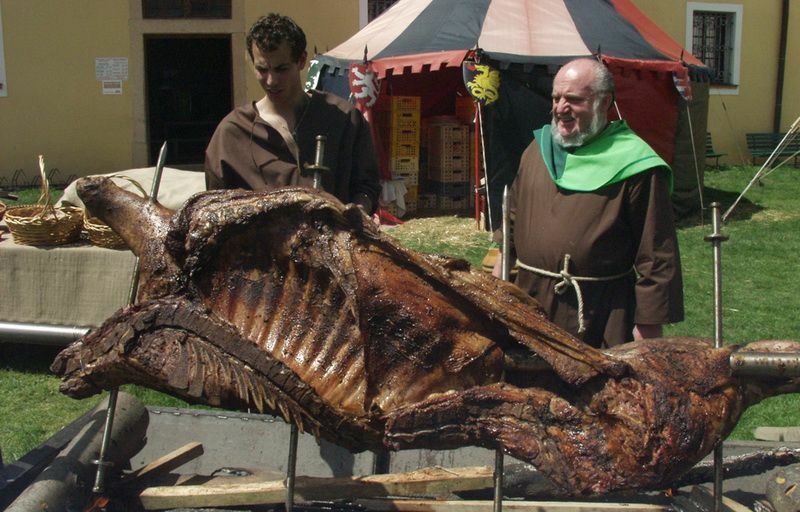 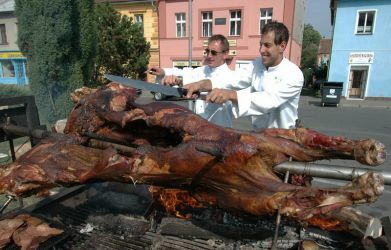 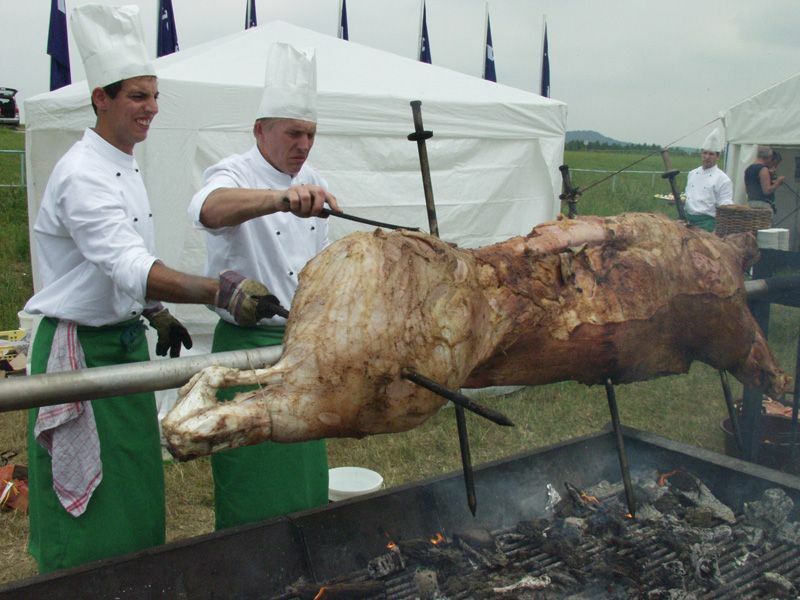 The largest piece to be grilled so far was a young bull weighing 450 kg of live weight. 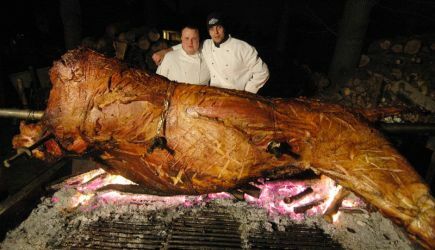 A young bull is butchered especially for this purpose and submerged in an original brine, where it lies in a cooling box for a period of ten days. 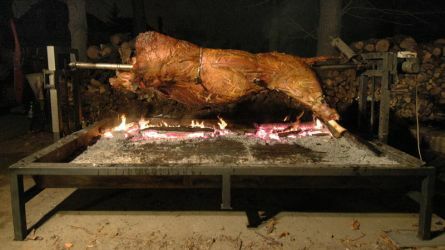 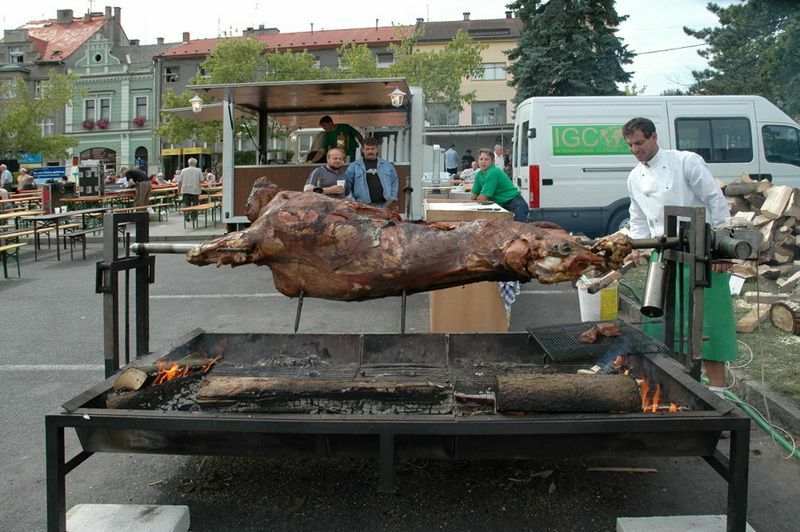 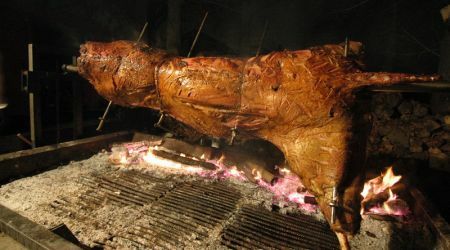 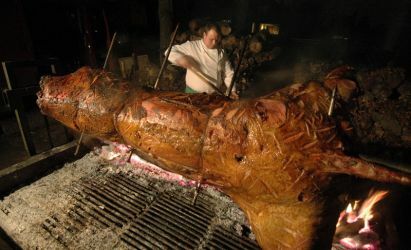 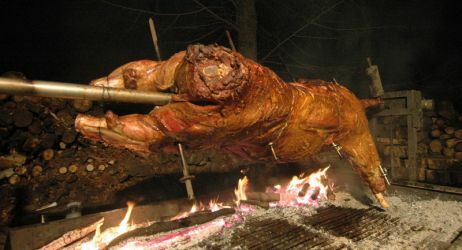 Then it is placed on the spit and grilled constantly over a fire for a period of 20-24 hours. It is truly an unbelievable gourmet experience and a large-volume attraction meant for an event of at least 150 people.